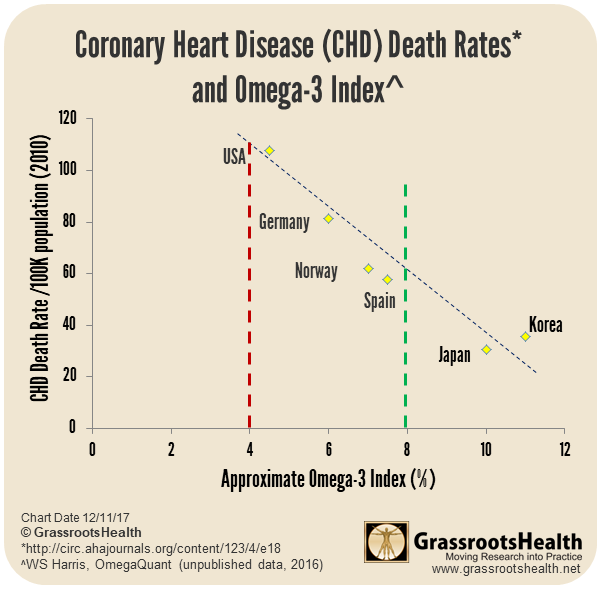 The following chart plots coronary heart disease (CHD) death rates for six countries versus their average Omega-3 Index level. 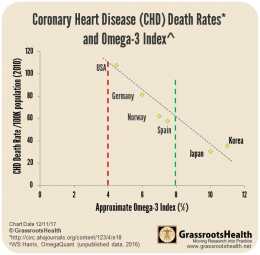 This chart shows an inverse correlation between Omega-3 Index and death from CHD. 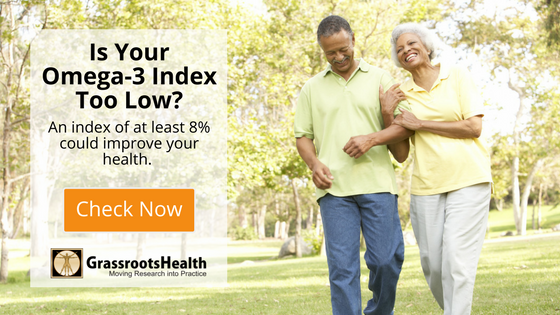 Scientists recommend an Omega-3 Index level greater than 8%, the US average is a little over 4%. This chart was created by William S. Harris, PhD, Professor Sanford School of Medicine, University of South Dakota and President of OmegaQuant Analytics LLC. OmegaQuant is the CLIA-certified lab that processes the D*action+Omega-3 tests. Harris used data from the 2011 American Heart Association Heart Disease and Stroke Statistics to find the death rates for all six countries. The average Omega-3 Index levels came from this paper by Stark et al. but can be most easily seen through the map on this blog.